In this post I want to share the fundamental factors (though not the only) why I prefer to service Aweber instead of using the free service Mailchimp to manage my mailing list. Mailchimp offers great service, you can have up to 2000 subscribers on your list and send up to 12,000 emails per month for free. Aweber offers no free, basic service to 500 subscribers costs $19 a month. You can try it for 30 days at a cost of $1. If at the end of the trial period canceled, the service you get back what you paid, or $1. However, both services will cost you some money. Also, if you want to make money online and promote your own products or those of any affiliate program then you must choose Aweber. The only conditions of Mailchimp is not allow include to include affiliate links in the mail addressed to your list. They are not even very clear about what is allowed and what is not. If you want to make money with your Aweber mailing list should be your choice. Nobody can afford to help close the account and lose your entire list because some terms not very clear. 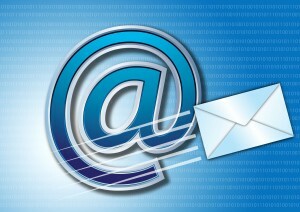 Both services are great tools for managing your mailing list. However with Aweber autoresponders you can use from the very first time while in the free version MailChimp autoresponders are not enabled. The only way to empower them is going to a surcharge. Having autoresponders is what, for example, allows me to automatically send each chapter of my guide Internet Marketing in 20 Lessons to my subscribers. Aweber has a great reputation when it comes to sending mass emails. Have a 99% guarantee that your mails will go to a spam folder. It also has a tool called "Spam Score" will tell you that your email is likely to be considered SPAM just before you send it. Mailchimp has a tool called "inbox inspector" Your email previously sent to some suppliers to see which one is considered spam and what not. It is a useful tool but it takes time to wait for the answers to these servers while in the case of Aweber response is instantaneous. Another critical point is the shipping time, or what your subscribers are delayed in receiving mail that you sent. For Aweber is almost instantaneous whereas Mailchimp may take several minutes, sometimes too. The ability to measure the effectiveness of your email marketing Aweber is unrivaled. Point. Mailchimp also has very good measurement tools but Aweber deepens in many aspects and presents the results in a simple but excellent. Both services are widely popular for good reason. The free offer Mailchimp is a good choice for those who start in the world of email marketing. But the general opinion and my own is that to manage a mailing list professionally Aweber offers the best solutions. If you're just starting in this business try Mailchimp be sure until you understand and master everything well. But if your goals are to build and manage mailing lists with a significant number of subscribers then you should consider using Aweber upfront. In any case I hope this post will serve to aid in making your decision. Note: Links to content Aweber in this post are my affiliate links. This means that if you sign up through one of them I win é a small commission to help maintain this blog. If you do you will be very grateful. However, my views do NOT have any intention of favoring Aweber for economic reasons, but are based STRICTLY on my own experiences with both services. Do not waste your money but you are convinced that it is worth.